In 2009-10, I undertook research for the Ohio Humanities Council (OHC) for a traveling exhibition, programming, and publications on the impact of the Great Depression and the New Deal in Ohio. Patricia N. Williamsen, now OHC executive director, gathered oral histories and engaged some of the state’s best photographers to re-photograph places captured by photographers in the the Farm Security Administration (FSA), the Civilian Conservation Corps (CCC), and the Work Projects Administration (WPA). Those images form the exhibition, Images of the Great Depression: Documentary Portraits Revisited, which opened in Columbus in March 2011 and is now touring the state. 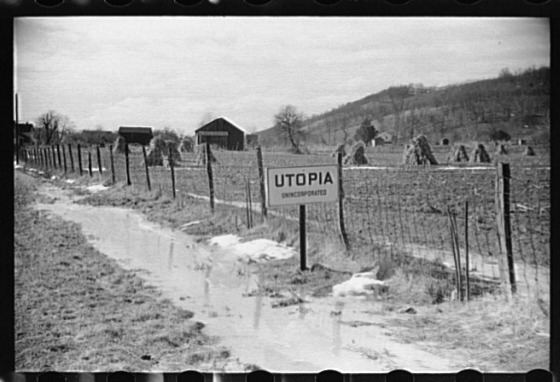 You may see the original FSA photographs at the OHC’s website dedicated to the project: Images of the Great Depression: Remembering the New Deal in Ohio. In July 2011 I began drafting a book on the changes brought by the New Deal to the material life of Ohioans, from shovels and pickaxes and sewing needles to the reordering of the built environment. How Ohioans remembered the Great Depression was through, simply and obviously enough, a reckoning of what they had, what they once had, what they wanted, how they worked, what they received, and what their earnings purchased. The title of the book, “A Better Ohio,” is borrowed from a 1937 WPA film chronicling the changes in the state instituted by the New Deal. Based on a scrapbook of a newlywed couple in Brookfield, Connecticut, building their first house in 1938, this book considers how Americans began to think of home ownership and consumption as the “American Dream.” Though the term “American Dream” has been applied to all eras of United States history, it was coined only in 1931. Joseph and May Fennell built their house in the same year that Eric Hodgins built his in New Milford, less than ten miles north of Brookfield. Hodgins’ account of his housebuilding exploits was made popular after World War II by the 1948 publication of his book, Mr. Blandings Builds His Dream House (1946). (Many assume, erroneously, that the book depicts the postwar building boom, but that assumption seems to be based on the 1948 film of the same name.) Hodgins was also managing editor of Fortune, the magazine that commissioned photographer Walker Evans and write James Agee to study Alabama sharecroppers’ lives. Though Fortune did not publish their work, Evans and Agee produced a masterpiece of ethnography: Let Us Now Praise Famous Men (1941). It’s interesting to me to consider the juxtapositions of region and class, want and desire, the real and the represented, as I work to understand how Americans claimed status through housewares, home furnishings, and homes in the Great Depression. What dreams of modernity were born in scarcity? I’ve come a long way from this early paper, offered at “Gender and Built Space,” the Sixteenth Annual Woman’s Committee Workshop, Economic History Society, London, England, 2005, but you’re welcome to read it. Why did Americans flock to daguerreotypy and photography parlors in the nineteenth century? Why did they pose they way they did? 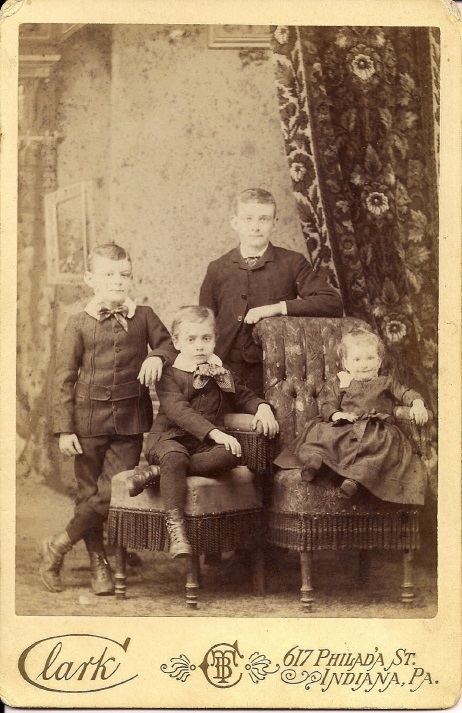 Why didn’t they smile? How did early practitioners formulate commercial photography as a middle-class “must have” symbol of respectability? Answers to these questions may be glimpsed in the book’s precis.